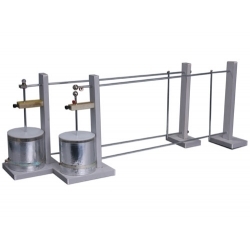 The electric resonance demonstrator (combine with J1206 inductorium ) can be applied to electric resonance experiment for students of high schools, secondary schools, colleges and universities. The instrument can carry out other static experiments with the leyden jar taken off. This is a simple-structured instrument with correct principles and good intuition. 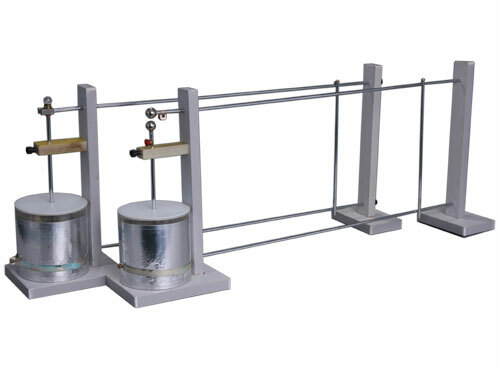 The experiment can be carried out in normal classrooms without shading device, students can see the experiment clearly within a distance of 10 meters. The electric resonance can be displayed with a bulb, and a neon bulb for resonance voltage. Resonance Current Display: distance of two circuits : 300-400 mm, bulb will be shining with white light. Resonance Voltage Display: distance of two circuits: 500-600 mm, neon bulb will be shining with red light. Dimensions: Length 200 mm, Width 120 mm, Height 320 mm.